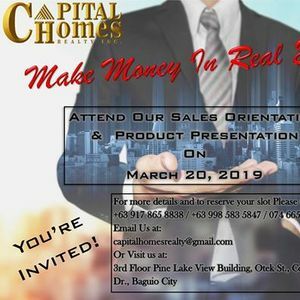 Training and workshops to be conducted by our CEO, Ryan Tablac, who is a Licensed Urban Planner, Real Estate Consultant, Real Estate Appraiser, and Real Estate Broker together with our EVP, Crizel Dino, also a Licensed Real Estate Consultant, Real Estate Appraiser, and Real Estate Broker. Both are duly accredited PRC lecturers with almost 30 years of combined real estate experience. 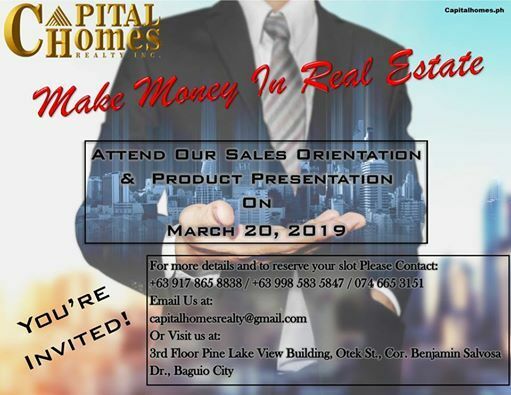 Grab this opportunity and MAKE MONEY IN REAL ESTATE! 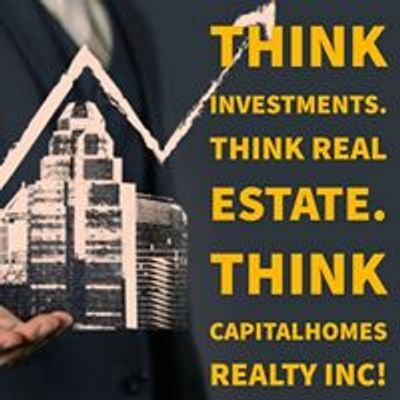 CapitalHomes Realty and Dev't Co.